It's HERE! Senior Week has arrived and I am so excited to start the giveaways and featuring all the amazing companies that have partnered up with @calliebethphoto. To start off the week we are featuring McKenna Elise Beauty! McKenna joined the Callie Beth Photo Style Team as our lead Rockwall Stylist this past year. She is extremely talented and you have to check out her work on her instagram page. When you book a premium senior collection, McKenna will be there for all your hair and makeup needs the day of your photoshoot. If you book after the daylight saving time shift, she will even come on location with us and you can change your style midway through your session! For Makeup Monday, we have teamed up with McKenna to bring you guys... drumroll please... FREE OCCASION MAKEUP!!! Ok, did you just go, what is occasion makeup?! WELL, it could be for Prom or Homecoming or any other special occasion you have! HERE'S HOW TO WIN— click the link below, fill out the form, follow @calliebethphoto and @McKennaEliseBeauty and tag a friend on the giveaway post on Callie Beth Photo! BOUNS:: Every friend you tag on Instagram is an extra entry, contest is open only to High School students, as long as you are in high school, you can win! 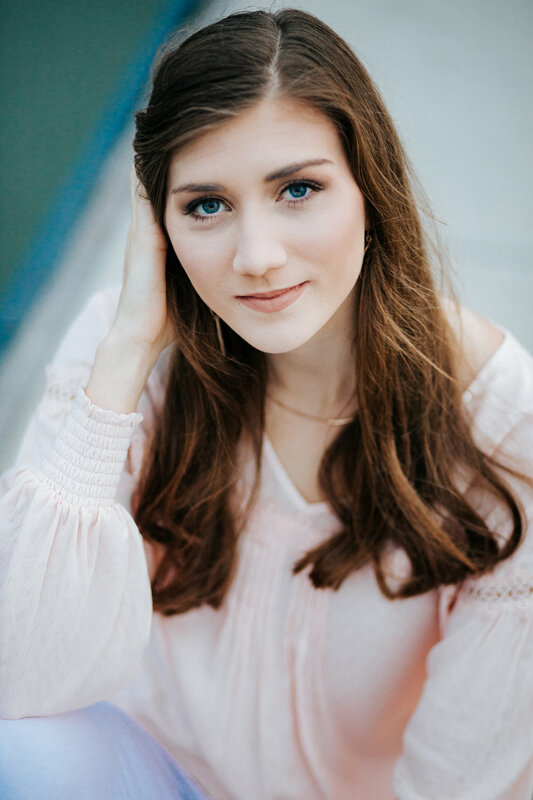 Brette Thorton // I am excited about senior year for all the exciting senior events like grad parties, NCL presentation, commiting for volleyball, and of course senior pictures. I’m also excited because it means I'm closer to college, being independent, and new adventures! Chloe Ordonez // I go to Rockwall High School and the main reason I’m excited for senior year is it’s a big step to take and I get to take it with my friends! We get to go through all of it together and I’m so excited. I’m also excited for all the senior events, such as prom, football games, and pep rallies! It’s the first step into being an adult! Sierra Wright // My name is Sierra Wright and I attend Rockwall High School, and I’m excited for senior year because we will have a very free schedule and more opportunity’s to have one on one with our teachers.